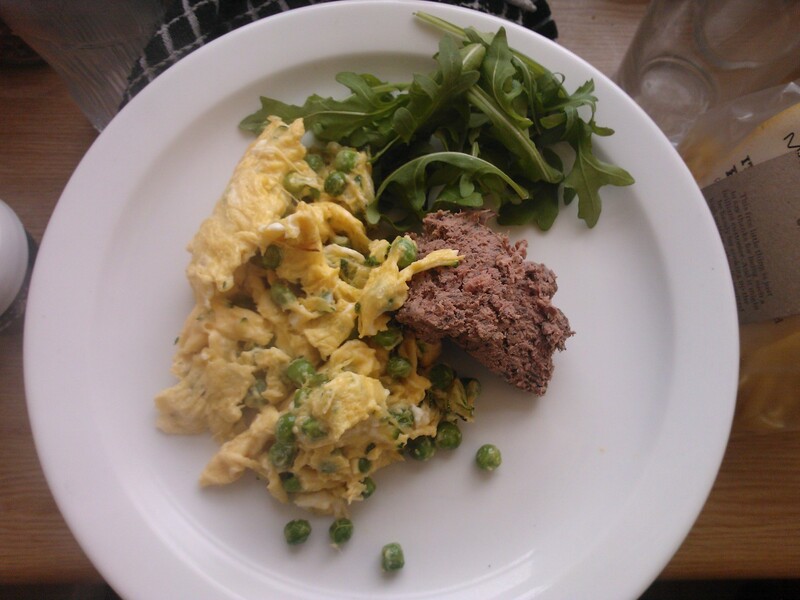 30 Day Paleo Challenge – Final week! To say that this month has been easy is a lie. 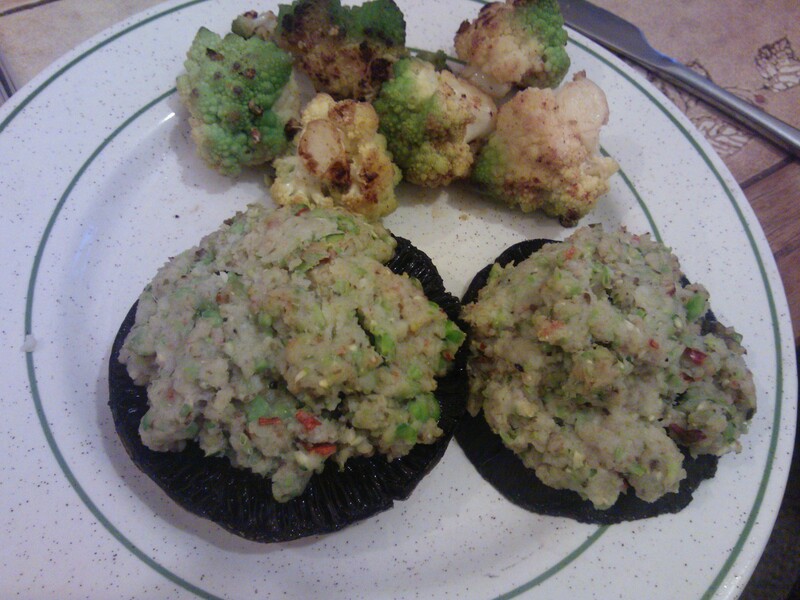 However, I have really enjoyed the challenge, and trying out new dishes every week. I have definitely noticed a different in my energy levels, my moods have been much better, and I have been having the most amazing sleeps at night! I have been much less bloated, and my skin has never looked or felt in better condition! There were days in this month that I had as ‘cheat days’ where I was in certain social situations where it was just going to be ‘easier’ to have a glass of wine or a cocktail, and eat something on a menu that was not paleo friendly. These days made me realise how good I had been feeling, and how much the foods that I was cutting out, especially sugar and dairy, made me feel horrible! Due to the positive outcome of this month, I have decided to change my lifestyle by sticking to a sugar, grain and dairy free diet as much as possible, but having a day here and there where I will have the odd bit of cheese (which I love) or sweet treat. I am continuing on making my bone broth, so I can heal my digestive system as quickly as possible, and really make a conscious effort to stick to this lifestyle change to get my body back to its ultimate, healthy self. My body is a temple and I want to start treating it that way! 🙂 If I do come across a recipe that I absolutely love, I will be sure to post it on my blog, and I will of course continue finding the best gluten free friendly eats during my travels. Maybe one day there will be more demand for paleo friendly places, and I will be able to help others find them too! – The first week is HARD. Trust me, it WILL get better! Especially if you usually have sugar everyday. You will feel horrible, cranky, sick, and tired all the time. Once that is over, the sugar should be out of your system, and you will feel fresh and happy and wonderful. – To prepare yourself for this horrible first week you need high protein snacks that will satisfy your cravings and shut your body up. My favourite are date, coconut and nut balls made by blending dates, almonds and desiccated coconut with coconut oil so they make small energy balls, and you can just have them by your desk to pop in your mouth when you’re feeling a craving coming along. I also found having nuts with me at all times is really helpful for snacking. – Stock your fridge and freezer up at home with plenty of vegetables and protein. Look up recipes beforehand so you’ve got a rough idea of what you will cook for the first week so you won’t panic after work and give in to something nasty. – Invest in a slow cooker. Especially if you work late, or really don’t enjoy cooking after work. You can literally chuck all the ingredients in in the morning and you will come home to a beautifully cooked meal that is comforting and delicious. – Be prepared for lunch. 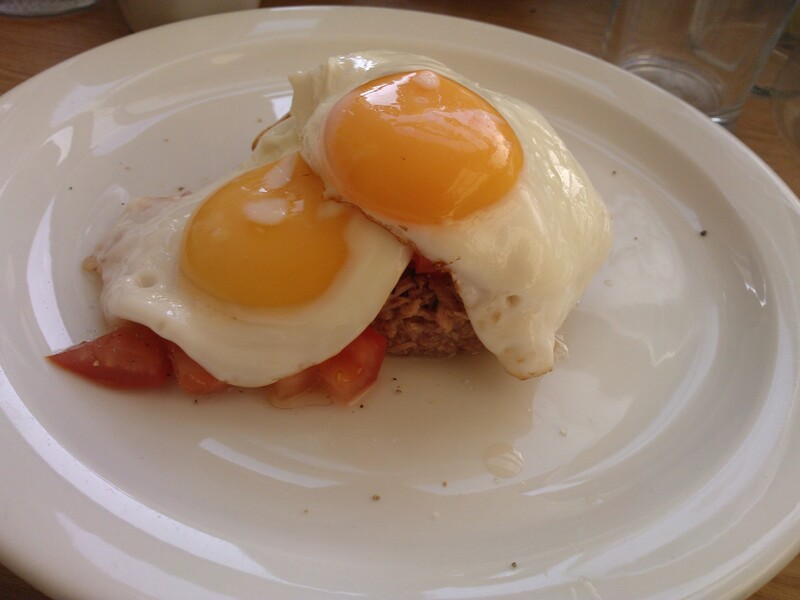 You will see through my food diary that some days I just had sliced meat for lunch that I got from the supermarket. This isn’t good, so try and make enough dinner so you can take left overs, or plan ahead so you have something different everyday. – Expect to spend a lot more time in the kitchen. You do need to plan more with paleo eating, as you are using 100% fresh ingredients all the time, and this does not equal instant! There are lots of helpful ways to reduce your kitchen time, by pre cooking your vegetables and protein for the week on a Sunday, then you can just chuck them together to make a fabulous meal without spending too much time chopping or preparing. – Read as much as you can! Reading others people’s stories or food blogs is so helpful, and really inspires you to keep up the good work. The more you look, the more you realise how many amazing recipes there are out there, and the possibilities really are endless! The one thing that I often find is I feel like I’m restricted, until I find another 5 great ways to cook something that I’d never thought of before! Google is my number one go to for typing an ingredient with the word paleo in front of it. Try it some time. 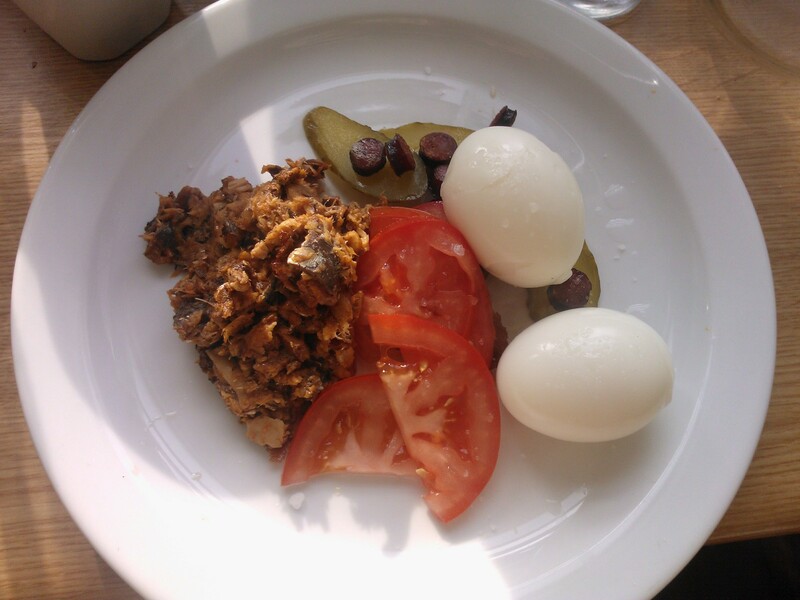 Day 2 – Leftover jalepeno bread, boiled eggs, tinned sardines, sausage, pickles and tomato. Sounds weird but it was actually really good! 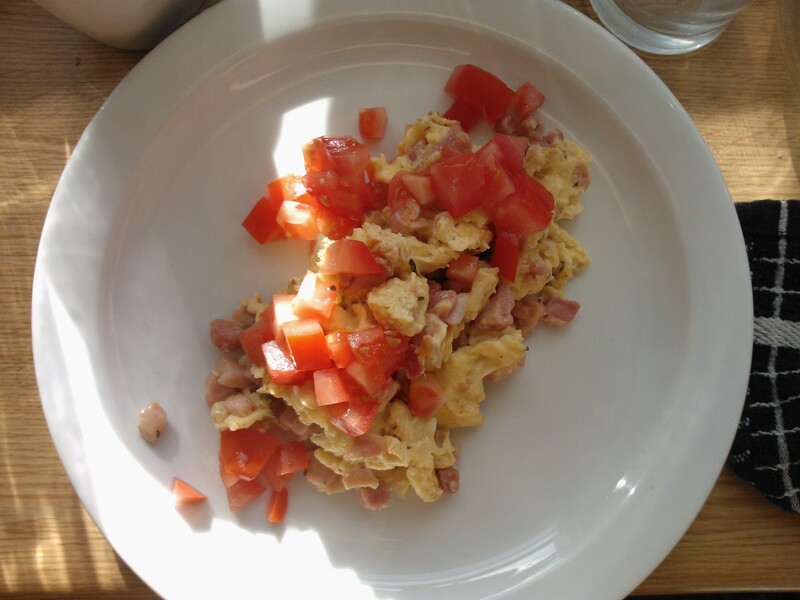 Day 6 – No breakfast! I woke up late as I was in London the night before so we went straight for an early dinner. 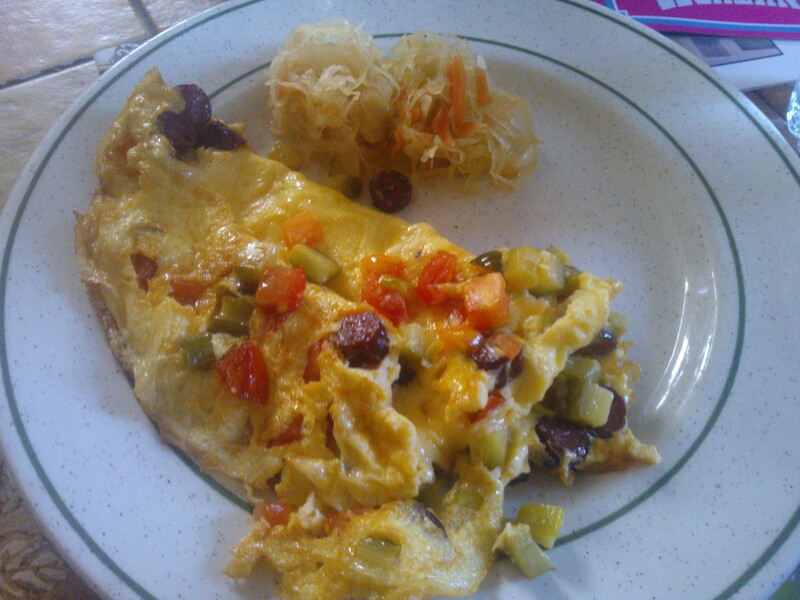 Day 7 – Frittata with pickles and tomato. 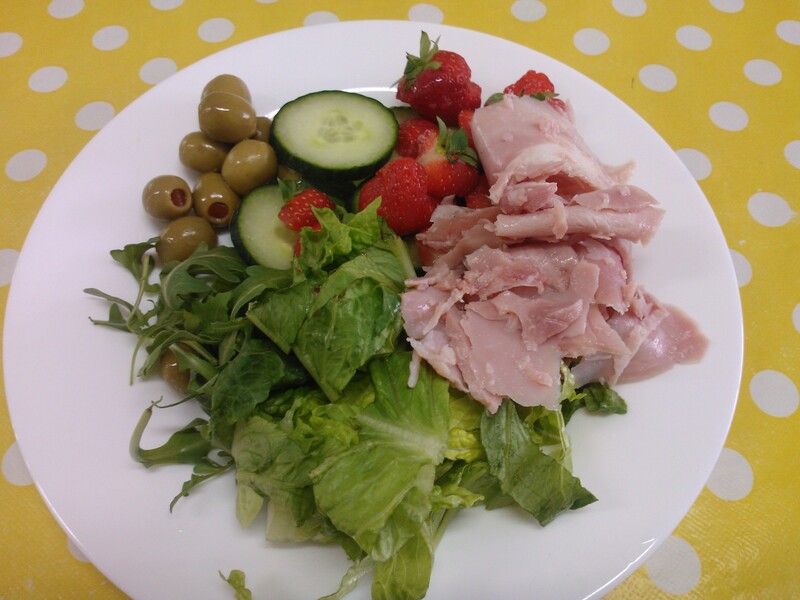 Day 6 – No lunch, as I said it was a late night and we went for an early dinner! Day 8 – An apple with roasted turkey meat and roasted pork loin slices. Day 5 – Some beef jerky for the train! Day 6 – No snacks! 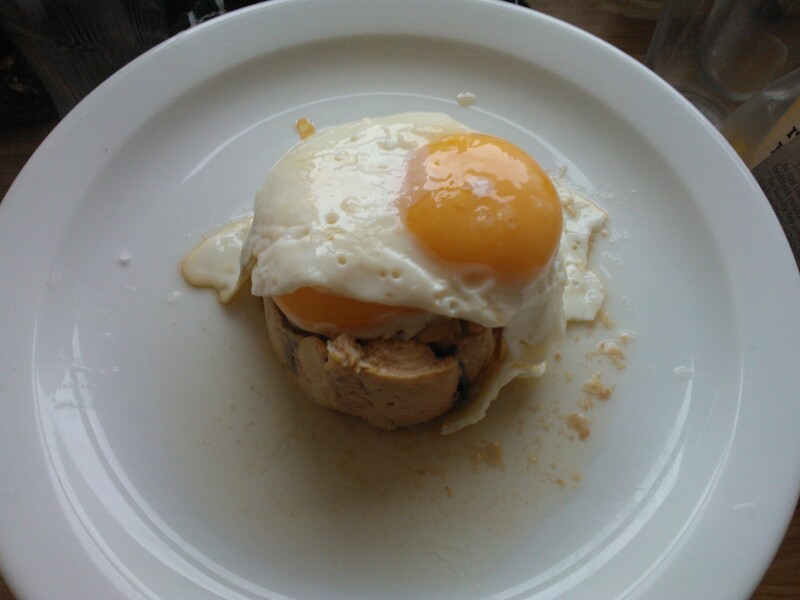 Day 4 – I had pork pate with pickles, turkey pieces, and some tinned wild salmon. I had mussels to cook, but when I went to cook them they had already died 😦 Naughty me not having veggies, I might steam some broccoli to take to work tomorrow to make up for it! Day 6 – Chicken Pho (it wasn’t paleo as it had rice noodles) and also a crispy Vietnamese savoury pancake which is gluten free but not paleo! 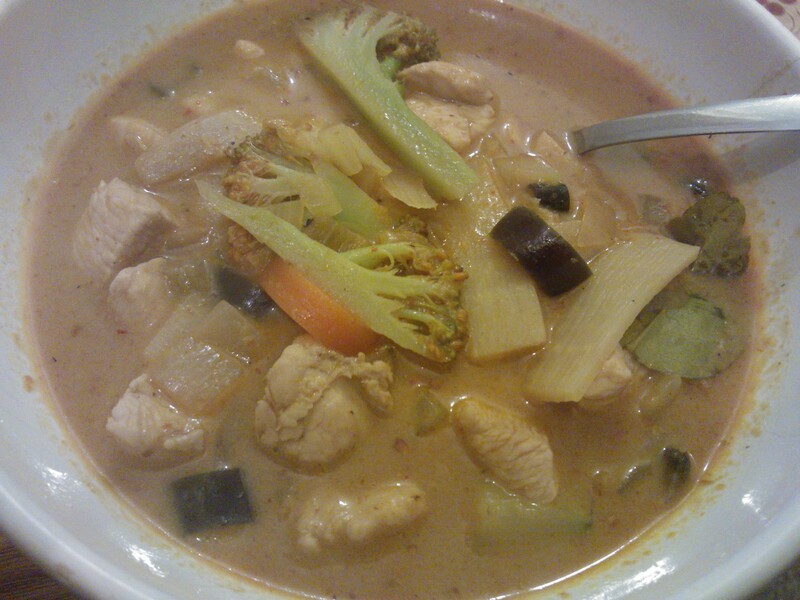 Day 7 – Homemade red Thai chicken curry with lots of veg! Tasty. 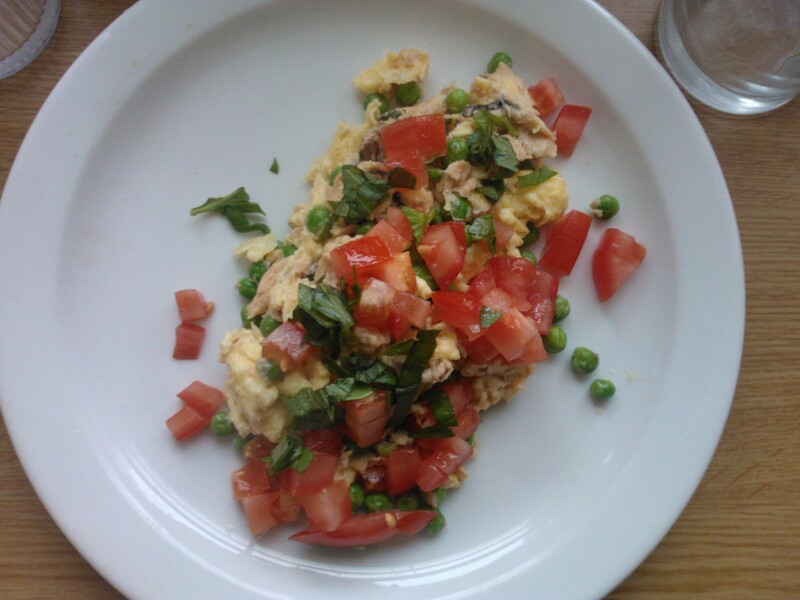 Day 2 – I was less hungry today, and felt like I was back to normal again. My moods were good and it seemed like the sugar had left my system. I didn’t find getting out of bed as easy as I did last week though. I had heart palpitations too, it was really strange as they just started when I sitting at my desk! I have had them for years, but haven’t had them for a while, and I am waiting to see a doctor about it as there isn’t really a pattern for when they occur. Thankfully, they stopped after about 20 minutes, but it was not enjoyable at all! My natureopath said they made me caused by leaky gut, when undigested food slips into the blood stream causing my body to react, but that’s just a possibility, not definite. Day 3 – I woke up early this morning at my usual time of 5:45am, but didn’t stay awake thankfully and went back to sleep which was nice! Today I had good energy levels all day, my tummy felt good and so did my moods. Day 4 – I had good energy all day today too, once again I woke up early but I relaxed and enjoyed the lay in whilst staying in bed. I am more motivated than ever to stay on a healthy diet as much as possible as I know that it works for me! Day 5 – Today was the day I was heading to London. I was quite tired today, and going to London after a full day at work was not very exciting at 6pm. Anyway, I got there and all was fine! Ended up partying the night away and having a great time. Day 6 – This day was basically a right off for me. We got in in the early hours of the am, and didn’t get out of bed until mid afternoon. Breakfast and lunch were missed, and we went straight for dinner to a Vietnamese restaurant that I have been meaning to go to with this particular friend for a long time. Because I had a bit of cheese and wine the night before, I was feeling bloated and sluggish today, and immediately wanted to go back to my fresh feeling self! 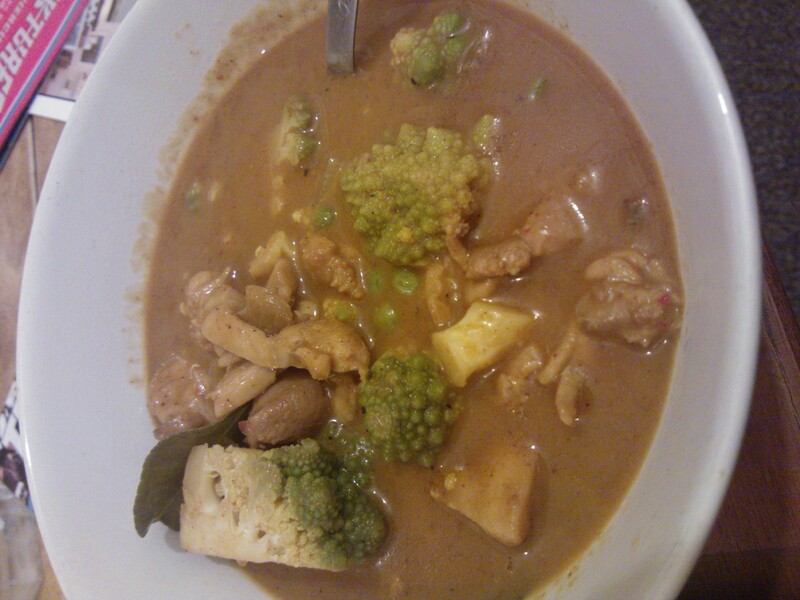 Day 7 – My energy levels were almost back to where I wanted them today, although not 100% so I decided to make a Thai curry with plenty of veg to boost them back up for Monday. 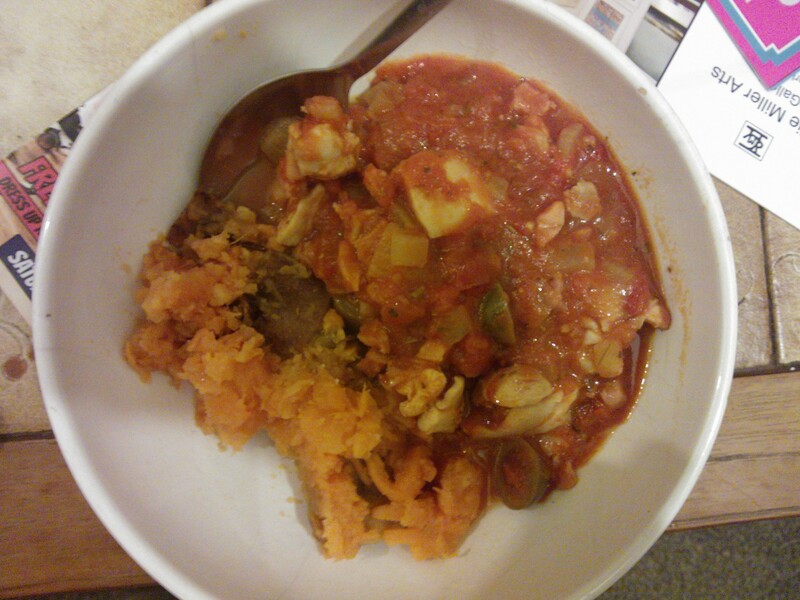 Day 8 – Well, I have decided that my body no longer tolerates spicy food! I had the worst tummy today, and felt ill all day. I wonder if it’s because I have cleansed myself out, and it’s become more sensitive to chilli? Day 9 – It’s the final day! I felt much better today, I woke up early at 6am again, and my energy was good all day. Wonderful end to the month, and I felt positive about changing my lifestyle again. Weight at end of week: 4.8kg above goal weight! So altogether I have lost 3kg and feeling much better. Yay!